Launched in the UK and Europe in early 2008, the LipoSonix® device was developed by U.S. based company LipoSonix Inc., now a wholly owned subsidiary of Medicis Pharmaceutical Corp. It is currently marketed in Germany, Austria, Switzerland, Spain, Portugal and Italy and is distributed and marketed in the UK by Sigmacon Ltd. The LipoSonix® device is designed to non-invasively deliver focused, high intensity ultrasound energy directly into the fatty tissue under the skin so as to permanently destroy targeted fat cells by a process known as thermo-coagulation without causing any damage to the overlaying skin layers or surrounding tissue. It is intended to treat small areas of stubborn fat in the thigh, buttock, abdomen and back regions that are resistant to diet and exercise, as a non-invasive body contouring procedure. It is not a replacement for liposuction. Focused ultrasound at an operation frequency of 2MHz and over 2000 W/cm2 of energy. 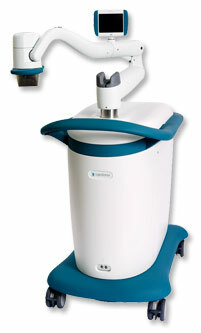 This is more powerful than the earlier market entrant, Ultrashape® at 0.2MHz. The object of the LipoSonix® technology is to achieve targeted reduction of fatty tissue by precisely focusing ultrasound energy to cause permanent disruption to fat cells, or adipocytes, without damage to the epidermis, dermis or underlying tissues and organs. A custom-designed transducer delivers ultrasound energy across the skin’s surface at a relatively low intensity so that no damage is caused, and then brings this energy to a sharp, high intensity focus in the subcutaneous fat to effectively ablate the adipocytes. Once the fat cells have been disrupted, chemotactic signals activate the body`s inflammatory response mechanisms and the liquid fatand cell debris is transport away and flushed from the body over time. This results in an overall reduction in the volume of local fatty tissue in the treated area. Treatment sessions last approximately 30 – 60 minutes for a full abdomen. The treatment is said to be tolerable and no anaesthesia is required. U.S. FDA approval yet to be applied for. Abdomen, e.g., tummy, waist etc. It is not a treatment for obesity or a weight loss cure. The results (e.g., circumferential reduction in the abdomen) are seen gradually over the first 8-12 weeks, though it may take several months (from 4-6 months) for the maximum effects to be seen. This is because your body continues to process and naturally remove the released fat. Results achieved with this procedure can be permanent as long as a sensible diet and exercise is maintained to avoid future weight gain. Although top-up or maintenance treatments can be had over the years; additional treatments are not recommended for at least 6 months after the initial treatment. The treatment is generally not considered to be painless, but tolerable. During treatment you may experience feelings of cold, prickling, tingling, warmth, discomfort or pain. Your practitioner may pause briefly between individual energy applications to reduce discomfort. The most common post-treatment side effects include temporary erythema (redness), mild bruising, discomfort, and oedema (swelling). Tenderness and haematomas (collections of blood under the skin) have been reported which resolved quickly. Those with a coagulation disorder, using anticoagulants or platelet inhibitors or who have an implanted electrical device, such as a pacemaker. Those with a Body Mass Index (BMI) greater than 30, i.e. clinically classified as obese. The treatment is not suitable in areas with less than 1cm of fatty tissue beyond the selected treatment depth, or in areas previously treated with injection lipolysis, liposuction, abdominoplasty or other surgery (including laparoscopic), or where hernia, implanted material, sensory loss or dysesthesia (an abnormal sensation to touch) is present. Treatment is also contraindicated for people with cancer or systemic disease. More often than not, one treatment session per area is considered to be enough to produce a reduction in the circumference measurements; however it all depends on if it is felt that the final result needs improving on or not. Private costs for treatment with LipoSonix® depends on the size of the area(s) being treated, and the number of areas that you have done in one treatment session, typically one area of the body will cost on average £2,000. Click for ALL LipoSonix ® clinics in the UK & Ireland registered and verified by Consulting Room.